Watch KGF Movie Official Trailer. 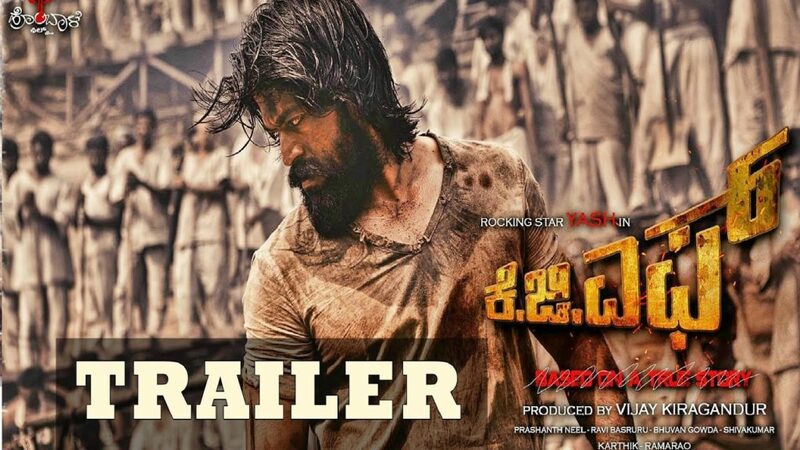 KGF Movie Starring by Starring: Kannada Rocking Star Yash, Srinidhi Shetty, Ayyapa, B Suresh, Srinivas Murthy, Archana Jois, Roopa Rayappa, Master Anmol, Ananth Nagu, Malavika, Achut Kumar, Naga Bharana, Dinesh Mangalur, Harish roi, Neenazam Ashwath, introducing Avinash, Ram, Lucky, Vinay. Art Direction by Shiva Kumar, Music composed by Ravi Basrur, Editing by Srikanth, Action by Ambu-Arivu-Vikram MDR, Written and Directed by Prashanth Neel, Producing by Vijay Kiragandur, DOP by Bhuvan Gowda. KGF Movie is all set to release on 21 December 2018. The KGF Movie is Releasing in all Major Indian Languages Including Telugu, Tamil, Kannada, Malayalam and Hindi. The KGF Trailer looks Historical Tremendous in all Aspects like DOP, Music and Screenplay, Picturization, Production values and Direction.